Watching someone suffer the after-effects of a stroke is devastating. The changes that the brain undergoes can leave them with personality changes – you may no longer recognize your parent, and this can be troubling on its own. Further, many patients are unable to carry on with their daily lives due to the physical limitations placed on them. Stroke sufferers can benefit greatly from home care services, and here is why. Important Parts of Their Recovery Do Not Slip Through the CracksPeople who have suffered a stroke are often left with many serious physical and mental effects, from vision problems to speech problems to paralysis on one side of the body, to name only a few. The majority of people are unequipped to handle stroke rehabilitation on their own. Many things slip through the cracks when people attempt to take on their loved one’s recovery on their own, and although they may have the best intentions, without additional support, these people simply do not receive the care that allows them to heal as best as they can. Support Is Provided to the Entire FamilyThe burden of caring for your parent after a stroke can take a toll on you mentally and physically, impacting your ability to remain positive, which is what stroke sufferers need during this difficult time. Not only do home care services support your loved one but they also support you. Perhaps surprisingly, many stroke sufferers worry about taking care of themselves – many of them are relieved when the burden is taken off of their family. Intensive Social and Physical Care Is ProvidedCaregivers are also professionally trained to foster healing in the first place, skills that many people simply do not have. This intensive social and physical care and additional support allow stroke patients to recover faster. The one thing that all stroke sufferers have in common is that they feel anxious after a stroke and do not want to be left alone. Everyday Tasks Are Taken Care OfThe reality is that we all lead busy lives and cannot be present at all hours of the day, nor can we provide the level of care that stroke sufferers need on a 24-hour basis. Caregivers can also take care of additional tasks that you would have otherwise had to do, such as preparing healthy meals, which is important in order to prevent a second stroke. Home care services make it possible for you to spend direct time with your loved one. Caregivers can come to your loved one’s home on a schedule that works for you. Ideally, to ensure that he or she receives high-quality care from the beginning, these arrangements would be made when your loved one is still in the hospital. 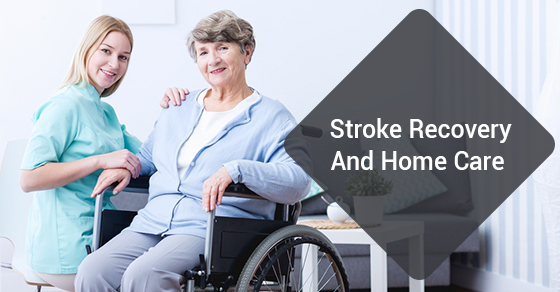 Those who have suffered a stroke benefit greatly from home care services. C-Care Health Services offers a variety of affordable and personalized services at a time that works best for you. Contact us today for more.